Contact Me Youtube Twitter! RSS Feed! 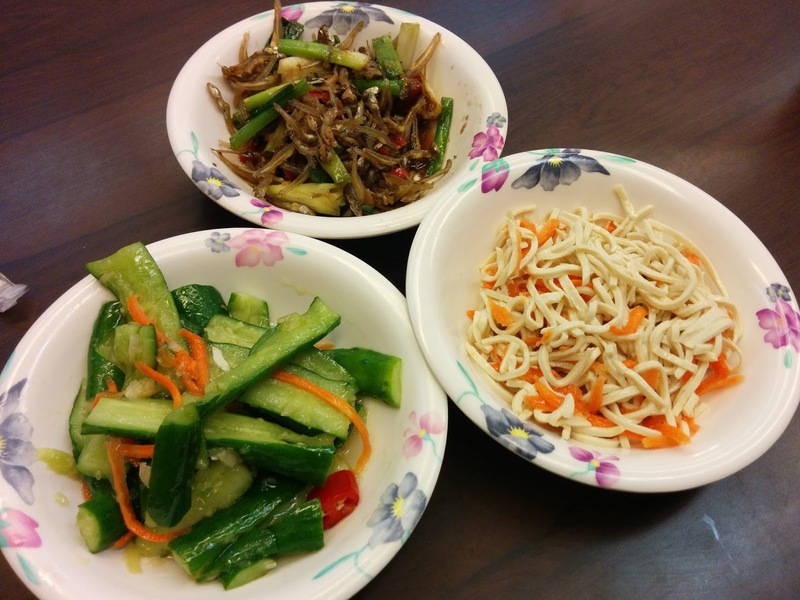 Since finding halal food can be quite cumbersome in Taiwan, you can go for vegetarian meals as an alternative. 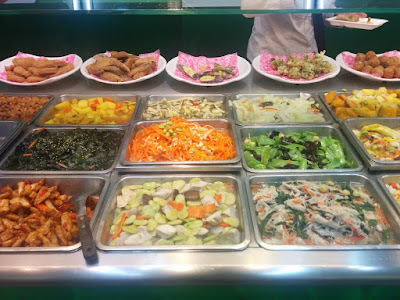 Most Taiwanese practice Mahayana Buddhism which recommends a strict vegetarian diet, and you can surprisingly find a lot of vegetarian eateries around Taiwan. (Some Muslims might have opinions about calling it as an halal alternative since the food were prepared by devoted Buddhist. I'm not going to discuss this, everyone has a choice.) The vegetarians in Taiwan refrain from alcohol too, so to my standard of "halal", it is sufficient. 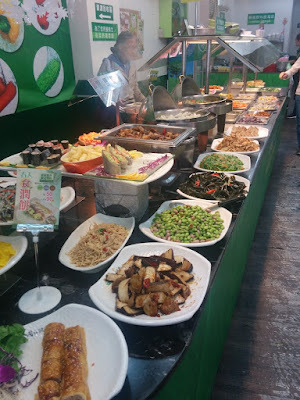 In order to survive in Taiwan, I regularly opt for vegetarian food, and I will share you some reviews and what to expect. Before I continue, I need to emphasise the importance of asking whether any food is vegetarian (素) or not. Because the Taiwanese put lard (pig oil) and rice wine (alcohol) in most of their food, so, unless they specifically claim the food is "Vegetarian". You might think that there should not be a problem to eat the Taiwan's famous street food onion cake (蔥油餅) or the oyster omelette (蚵仔煎), chances are, most of those stalls use lard as the most basic ingredient. So, please be cautious. The only irritating fact (for me) is that the Taiwanese vegetarian diet refrain from eating onion, garlic and chili too! It makes our choices less attractable, to be honest I don't think I can survive on them for life. But eating once in a while is still very delicious. In fact, you should slot in at least one vegetarian meal in your travel itinerary to truly enjoy local Taiwanese cuisines. 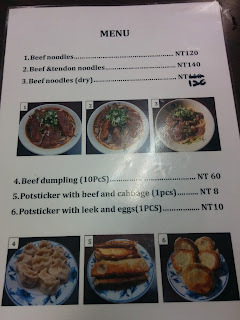 Most of the vegetarian restaurants here in Taiwan charge you based on the weight of the food you eat, but the bill always come out reasonable. As of the time I am writing this, it is about 25NT$/100g of food. 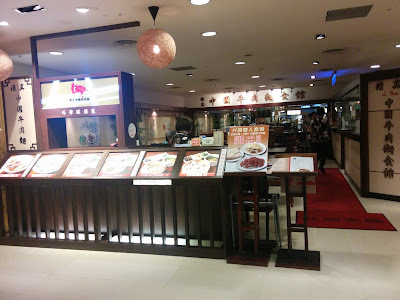 Two of the largest pay-per-weight Vegetarian restaurant chains are "Minder Vegetarian Restaurants （明德素食園）" and "Quan Guo Vegetarian Restaurants (全國健康素食)". Both have many branches around Taipei, for a full list of locations, please check out the map I have shared previously. After you select your food, you can add white rice/brown rice or porridge. 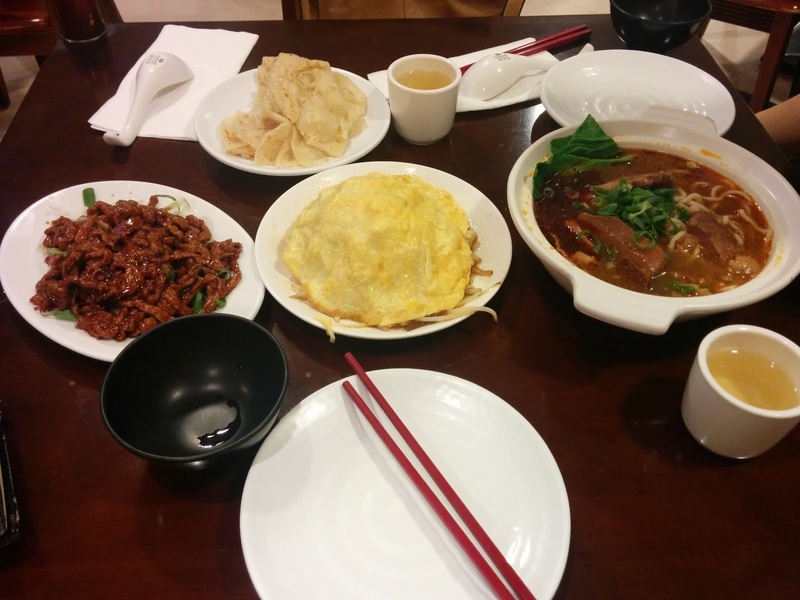 This will be on a day when I am very hungry, the bill will come out around NT$200. Some shops provide free soup, some shop doesn't. Something like this would cost less than NT$100. The above is from one vegetarian buffet restaurant. The must eat item every time I go to these shops is turnip cake(蘿蔔糕)! You will find vegetables in Taiwan is really fresh, besides, that island is blessed with many different types of mushrooms too. If you fancy a vegetarian fine-dining experience, I highly recommend SuFood. 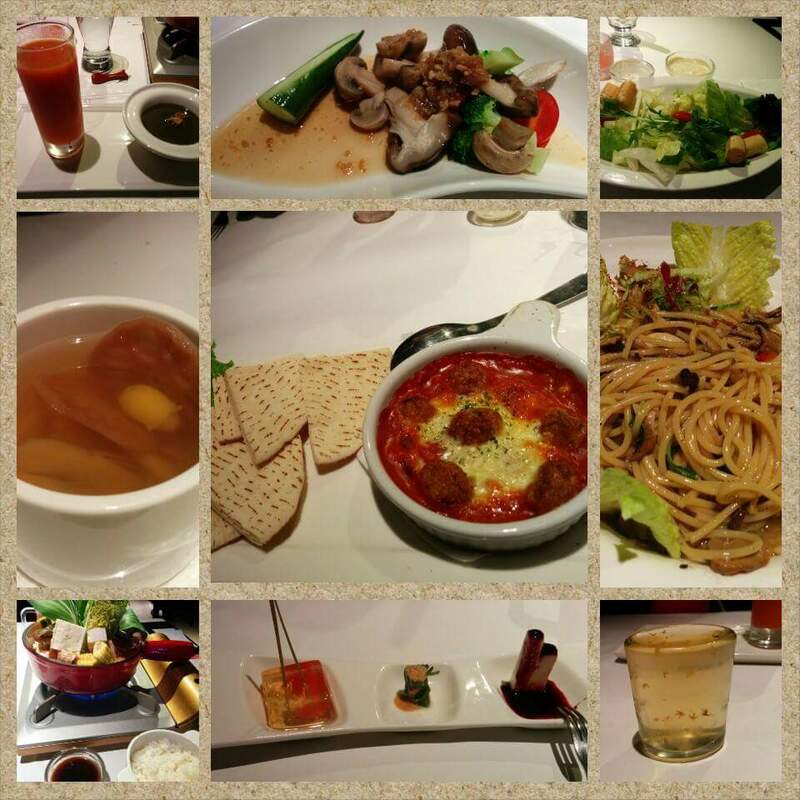 They offer 4 course vegetarian meal for NT$398 (with 10% service charge). There are different choices for entrée, soup, main course, dessert and drink. Check out their website for more details. The restaurant ambience is very nice, food are quite appetizing too. Kind reminder, please double-check whether the shops are still there prior to your trip planning because businesses in Taiwan come and go in the blink of an eye. They frequently close down some branches and open new branches. 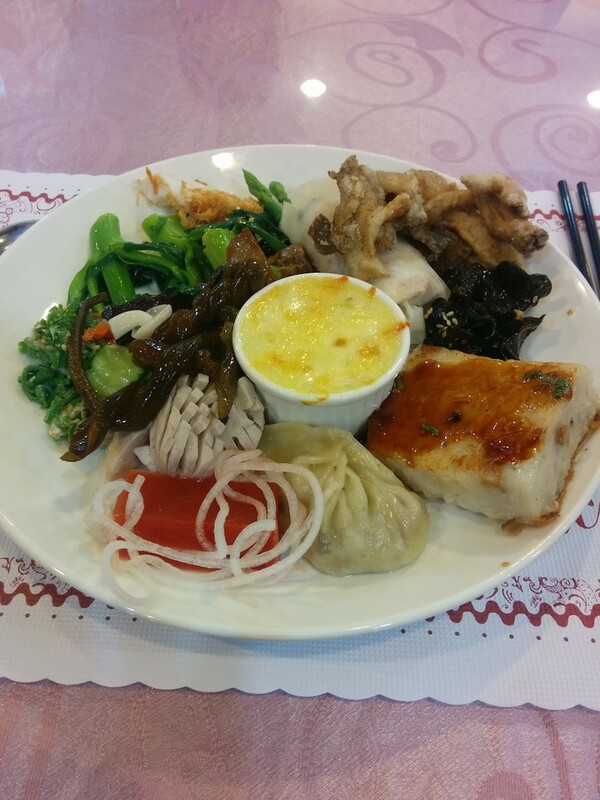 Wherever you visit in Taiwan, you are likely to find a vegetarian restaurant. Just try to remember the word "素食" (Su4 Shi2 - don't pronounce 'su-shee'), if you don't know how to speak Mandarin, just print out that two characters, and show them to any passer-by. Taiwanese are friendly enough to help you find nearest one. Next post I shall write about food that you can actually enjoy in night markets. 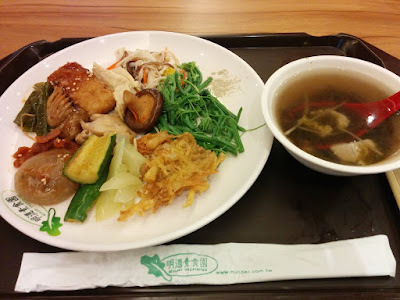 Prior to moving to Taiwan, I lived in Malaysia for about 10 years thus I was spoilt for choices of halal food, which makes surviving in Taiwan a little hard for me. Here, I frequently cooked at home but I am also constantly looking for halal restaurants and Muslim-friendly street food. 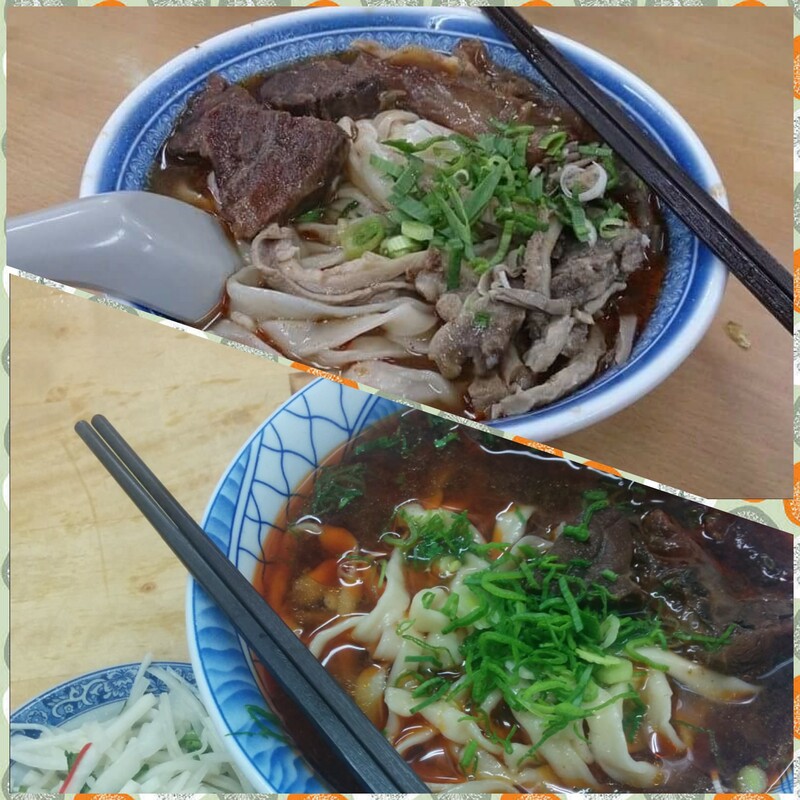 The most budget-friendly and special halal food in Taipei is none other than "Beef Noodles". In Taipei, there are 2 halal beef noodle shops near XiMenDing shopping district, one near Sun Yet Sen Memorial Hall and another one near Taipei 101. These photos are from my many trips to this restaurant over the year. 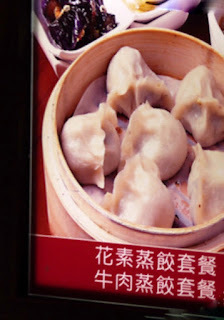 Potsticker is another name for fried dumplings, it probably is a direct translation of 鍋貼 😅 I am not really a fan of Taiwanese dumplings, the outer flour layer is too thick, I prefer Japanese gyoza. 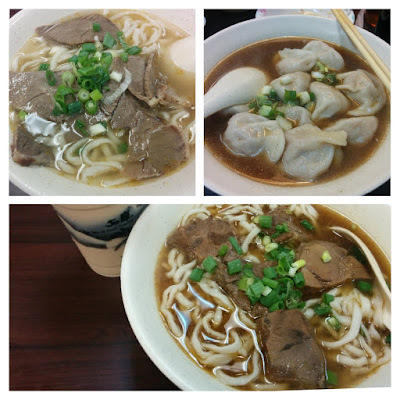 We usually order beef soup (without noodles) to eat with potstickers. 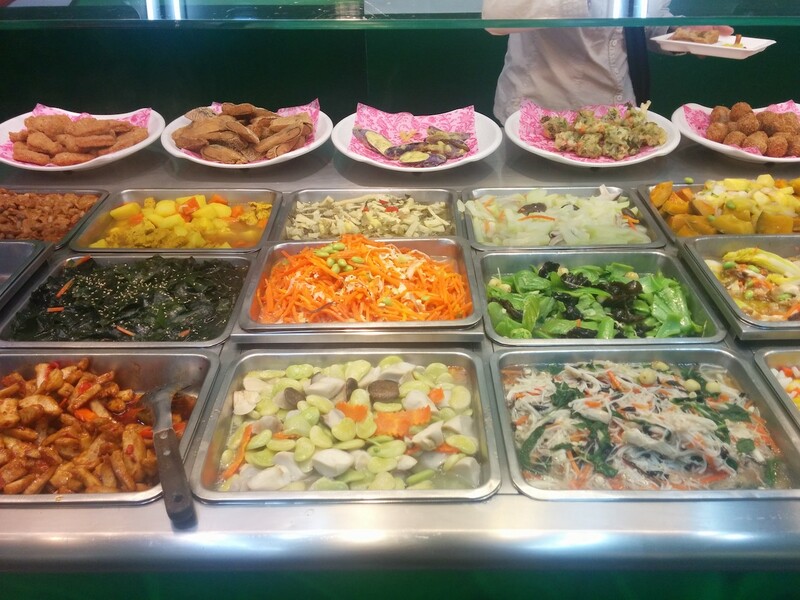 You can pick your own side dishes at the counter near the entrance. They are TW$ 25 each by the time I am writing this post. 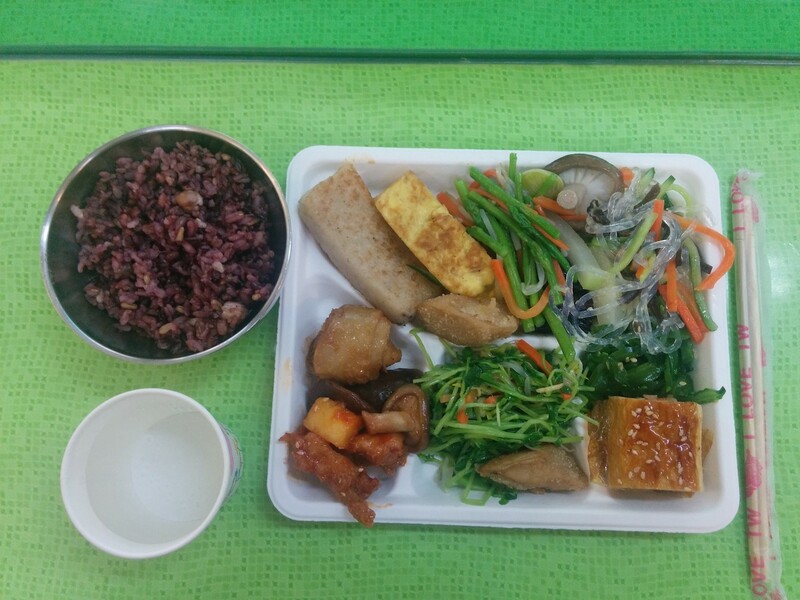 Most of the side dishes are vegetables except the fried anchovies. I loved all of them: the cucumber salad, seaweed strips (海帶絲), tofu strips (豆腐絲), dried tofu(豆乾), fried bean sprouts, etc. The side dishes are very traditional Taiwanese recipes, I find them quite special. 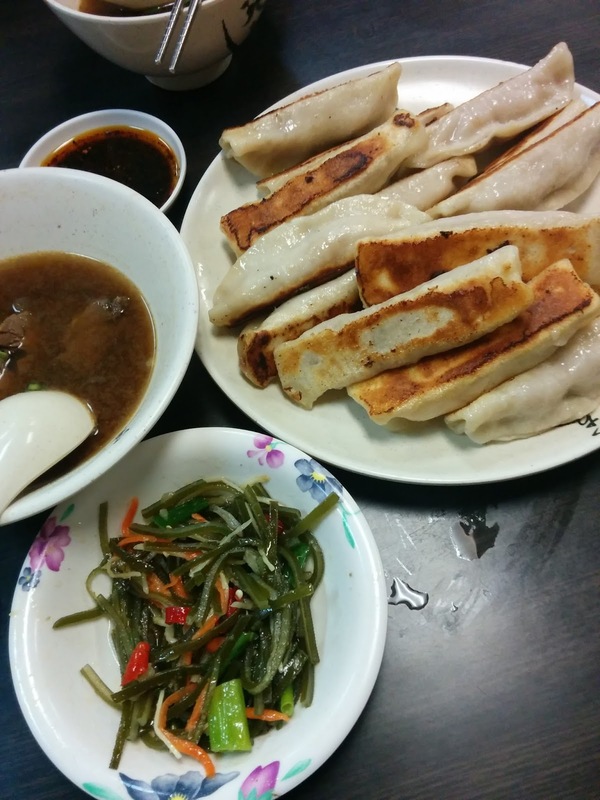 Besides, you can also order Taiwanese traditional Onion Prata (蔥抓餅) and dumpling with leek filling (韭菜煎包). Drinks option at this shop is quite limited, they only have soy milk and iced tea. In fact, Taiwanese don't really drink during meals, we usually go and drink bubble tea after meal. This shop is right beside the first shop and serves very similar menu. The beef noodle soup is a bit oily, but the dumpling soup (湯餃) here is much better, unfortunately I don't have much photos of food from this shop. This two shops is more of Northeastern Chinese-style cuisines. 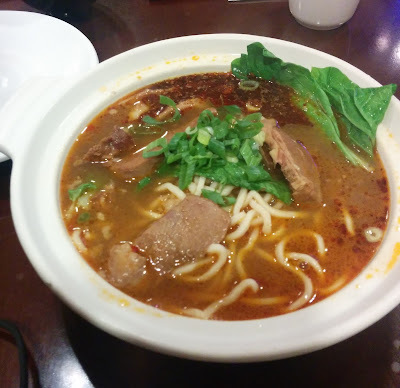 We ordered set meals with another beef noodle. The set meal includes some bread like roti prata (they called it Jin Bing), assorted vegetables in a fried egg, and beef strips fried with soy sauce. The Jin Bing taste pretty nice, quite chewy, so you are supposed to wrap fried beef and some leeks inside the Jin Bing and eat (like how they eat peking duck). Quite a memorable taste. The best food in this shop is their steamed dumplings. It's about NT$150 for eight pieces, the beef filling is very tender and juicy. Compare to the first two shops, the shop #3 and #4 are about double the price so we eat here less frequently. There are many others in the menu to choose from, but i haven't tried much, so I can't really recommend others.